Dr. Susan M. Snyder is an Assistant Professor in the School of Social Work at Andrew Young School of Policy Studies. Dr. Snyder has over a decade of practice experience in the field of child welfare, which informs her commitment to advancing research in the field. Dr. Snyder investigates the sequelae of problem behavior, including substance use and illegal behaviors, among maltreated and system-involved youth. Dr. Snyder’s research has been published in leading journals such as PLOS ONE, Children Youth Services Review, Substance Use Misuse, and Child Abuse and Neglect. 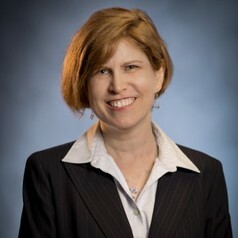 Dr. Snyder was recognized as the Most Outstanding and Most Innovative Faculty Member by the 2015 MSW Class at the University of North Carolina Chapel Hill, before joining GSU. She received her Master’s in Public Administration (MPA) from the University of Missouri-Columbia, and her MSW and PhD from the University of California, Los Angeles.